On this date in 1649, the struggle between parliament and crown cost the Stuart monarch Charles I his head. 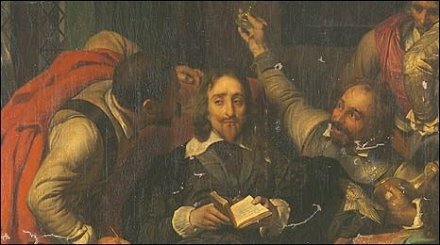 Charles‘ political clumsiness and unreconstructed authoritarianism had seen the realm whose unitary sovereignty he insisted upon blunder from disaster to disaster: into bankruptcy, military defeat, religious conflict and the English Civil War. The assignation of cause and consequence in that war’s genesis has much exercised historians. What is beyond dispute is that the confrontation between monarch and subject, pitting against each other political and economic epochs, theories of state and power, rates as one of history’s most captivating courtroom dramas. [A] King cannot be tried by any superior jurisdiction on earth. But it is not my case alone — it is the freedom and the liberty of the people of England. And do you pretend what you will, I stand more for their liberties — for if the power without law may make laws, may alter the fundamental laws of the kingdom, I do not know what subject he is in England that can be sure of his life or anything that he calls his own. Therefore, when that I came here I did expect particular reasons to know by what law, what authority, you did proceed against me here. It must be borne in mind that the trial of a king was a completely unprecedented event. Charles might be forgiven his attitude, even if it smacked of the impolitic high-handedness that had forced this deadly test of powers. Parliament’s position — here in the words of its President — is distinctly in the stream of political discourse (if not always actual practice) ascendant in the West to this day. Sir, as the law is your superior, so truly, sir, there is something that is superior to the law and that is indeed the parent or author of the law — and that is the people of England. The modern and the medieval, facing each other at the bar. A fragment from a World War II bomb-damaged and only-recently-rediscovered Hippolyte Delaroche painting situating Charles in the Christlike pose of enduring the mockery of his captors. 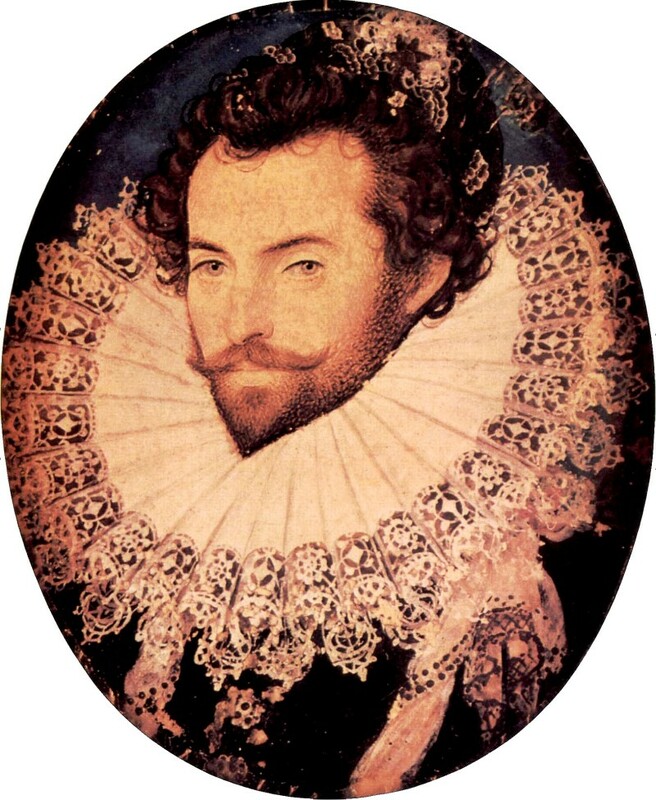 Charles played his lordly disdain to the end, refusing to admit parliament’s jurisdiction by making any sort of plea. Probably more troubling for the parliamentary party than the regicide taboo was consideration that the execution would transfer royalist loyalties from a man safely imprisoned to an heir beyond their power, who could be expected to (as in fact he did) resume the civil war. Competing philosophies expounded for the competing interests; the dispute involved the era’s intellectual titans, in conflict over the most fundamental concepts of the state. Thomas Hobbes wrote his magnum opus The Leviathan as a royalist exile in Paris, and its abhorrence for rebellion and divided sovereignty unmistakably reflects the English Civil War experience. John Milton earned his bread as a republican polemicist; his poetic celebration of Satan’s failed rebellion in Paradise Lost, written after the Stuart restoration, can be read as a political critique. It’s conventionally thought that the beheading was conducted by a radical minority, though that supposition is debatable, colored as it is by the ultimate restoration of the crown. But although England would have a king again, the weight of political authority would steadily, permanently, gravitate towards parliament, organ of the merchant classes who would steer England henceforward. Did it have the right? Two implacable powers each claimed an indivisible object; “between equal rights, force decides.” So on this cold winter’s afternoon — Charles wore thick undergarments, so he would not shiver with the appearance of fright — the deposed king was marched to a scaffold erected at Whitehall. He gave a short final address, with the famous words for his principle of martyrdom — “a sovereign and a subject are clean different things” — then laid his head on a low block, where a masked executioner (never definitively identified) cleanly chopped it off. After the monarchy’s restoration, Charles was canonized as a saint by the Church of England: he’s still the last person so venerated, an odd salute to a mortal career of unalloyed arrogance and incompetence. Observance of the cult was toned down in the 19th century, although a Society of King Charles the Martyr dedicated to its preservation still exists; monarchists of a more secular inclination also continue to mark his martyrdom on this anniversary. Part of the Themed Set: The English Reformation.